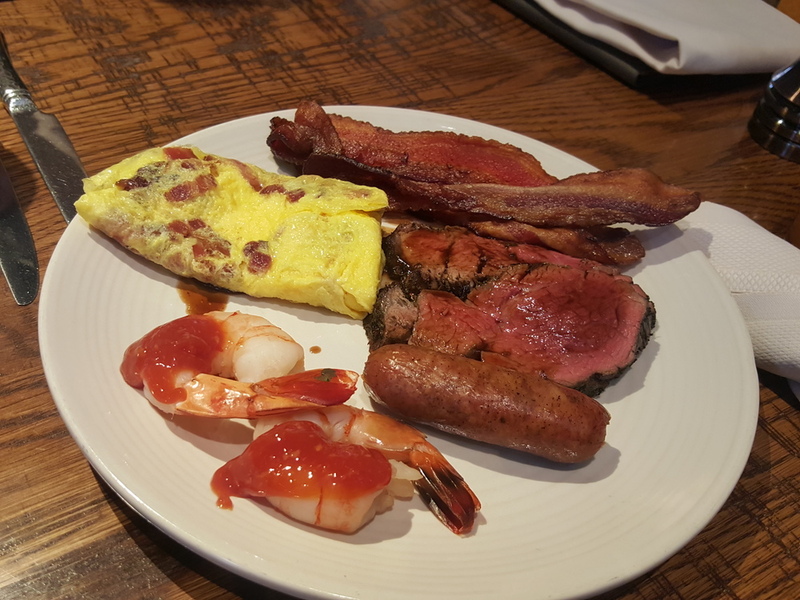 This month, T. Cook's at the Royal Palms Resort and Spa launched their Sunday Market Brunch and I had a chance to dine last weekend. I can't imagine a more beautiful setting than this historical property (the original mansion was built in 1929) nestled at the base of Camelback Mountain. What also makes this brunch stand out is the nod to T. Cook's menu with its Northern Mediterranean influences of Spain, Italy, and Provence. In addition to popular breakfast items such as made-to-order egg dishes, sausage, bacon, pancakes, waffles, crepes, and pastries, I loved the options of Chef Allison's signature paella, seafood such as ceviche and crab claws, cheese and charcuterie, and carved-to-order meats, in this case juicy tenderloin served with choices of chimichurri, horseradish, or rich demi-glace. The $49 per person price ($29 for children, ages 5 and under free) for this wonderful feast includes a glass of fresh-pressed juice of fruit and greens that rotates weekly. I was also happy to order one of my favorite brunch cocktails, the Ramos Gin Fizz. Not only is this New Orleans brunch classic of gin, citrus, cream and orange blossom water shaken up with an egg white seldom seen on an Arizona breakfast menu, but Chuck Sep of the Mix Up Bar makes the best version I've ever had. I don't often see Spanish lomo and jamón serrano on a charcuterie menu, never mind as part of a brunch buffet. Yes, please! My husband loaded up his plate with low-carb-friendly choices, while I had a sampler. And finished with excellent eggs Benedict, roasted potatoes, and spinach salad with champagne vinaigrette. Chuck and his stellar Pisco Sour. After indulging in a three-course brunch, my petite slice of chocolate torte was a perfect decadent ending. This beautiful property convinces you to linger, and after brunch we stopped in at the Mix Up Bar for one final cocktail (link here) before bidding adieu to the gorgeous Royal Palms. Friends frequently ask me where I would recommend as my favorite brunch spot. Well, I now have an easy answer - T. Cook's. We were hosted by T. Cook's and our brunch was complimentary.